Heyo, time flies its now the last day and last post for my Nanoha week. Anime ran for 12 eps with 3 OVAs. Original story this time, a spinoff from the Nanoha Vivid series. The story is somewhat a sequel to the Vivid series, since the fighting style is pretty much the same. It seems pretty laidback, but ep 4 was a gamechanger, the dark story style from the old Nanohas came back with a pretty shocking revelation. The story from then on became pretty intense and the intensity keeps running high. Character developments are pretty good too, because of the dark backstory. Probably because Tsuzuki Masaki came back to do the storyboard and also Nishimura Junji directing. Ending was pretty inconclusive, but I watched the OVA and they did a proper wrapup with the OVA so its fine now. Overall, I enjoyed the series a lot, CQC-themes does prove that it can be more intense than the good old magic style back in the day. The first 2 OVAs were pretty much more training for Fuuka and the last OVA did the ending with more fanservice. Animations by Seven Arcs. So glad that they returned to Seven Arcs after A-1 killed Vivid. The combat scenes is a lot better now and the character designs were fixed. I love it. Music is great here. OP and ED were nicely done. BGMs did match the intense atmosphere. VAs expanded again. Inori Minase, Ogura Yui, Asakawa Yuu, Uesaka Sumire, Sakura Ayane, Ito Kanae, Arai Satomi, Uchiyama Yumi. I love them all, Ogura Yui’s voice here is excellent too, its been awhile I heard rough voice from her. It may be a spin off, but it did some kind of justice after their screw up at Vivid. Recommended to watch. 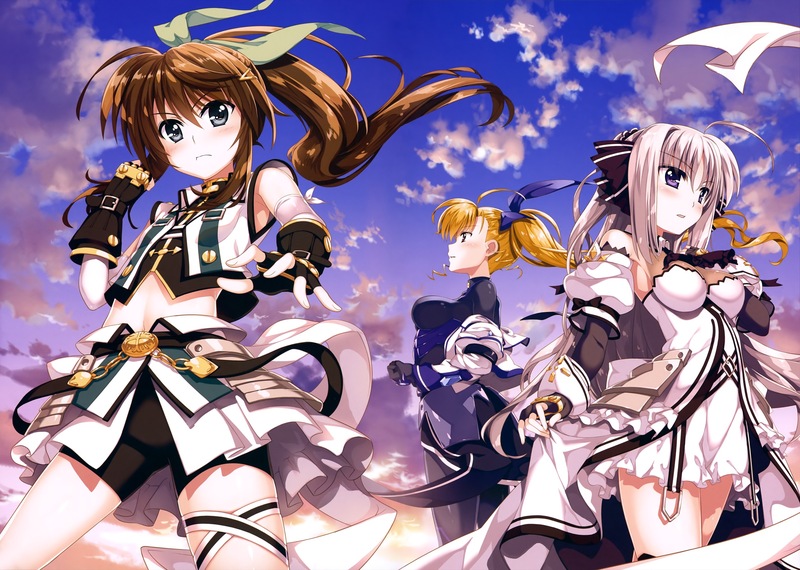 I hope you enjoyed my 5 days worth of Nanoha, I will post my first impressions tomorrow.